While men tend to shave more often than women do, many women spend a lot of time shaving or waxing. One source says that women on average spend 72 days over their lives shaving their legs, shaving an average of 12 times a month . Unfortunately, razor burn is one of the problems that can occur when women shave their legs. Razor burn on legs is a skin condition that can manifest itself with symptoms such as redness, bumps, and discomfort. What follows is a look, firstly, at 5 tips to prevent razor burn on legs and, secondly, what women can do if they end up on the receiving end of razor burn. When women shave their legs, they sometimes opt to do so in the shower or bathtub. This is a good idea, but it’s important that they not shave too soon after getting into the shower or tub. Waiting for at least 15 minutes prior to starting to shave is a good idea because this will afford enough time for the hair to soften and for the follicles to open up. This will facilitate a smooth shave and reduce the chances of getting razor burn on legs. Whether shaving their face, legs, or armpits, women need to lubricate their skin — and, no, bar soap doesn’t count — prior to shaving. This is particularly true for women who don’t shave while in the shower. Using something like shaving cream will allow the razor to move more freely over the legs, and this will safeguard against cuts and nicks. Something like bar soap won’t offer enough lubrication to make much of a difference when shaving. While it might be okay to use razors of the disposable single-blade variety once in a while, it’s best not to make a habit of it. Multi-blade razors provide the best results since they make it easier for women to navigate the surface of their legs. While using single-blade disposables regularly will save money, it won’t make for a better overall shave. That’s why it’s best to use quality razors that have four or five blades. Using the same blade for too long is a recipe for disaster for women who want to avoid razor burn on legs problems. Once any dullness is detected in the blade, it’s best to swap the old for the new. Old blades won’t cut properly and could ultimately lead to razor burn. For the problems they can eliminate, new blades are worth the cost, so it’s best to buy them in bulk if possible. While this suggestion might seem more like folklore, there is actually some science behind it . When people sleep, their legs swell a little bit, which can facilitate the process whereby hairs you may have missed go back into their follicles. This is why shaving at night, rather than early in the morning, can lead to smoother legs post-shave. Razor burn can be an annoying, uncomfortable, and unsightly problem. But there are quite a few remedies that can bring relief. For instance, a cool compress can be applied to razor burn on legs to deal with inflammation and itching. As well, astringent liquids, like apple cider vinegar and witch hazel extract, can be applied to lessen redness and inflammation. 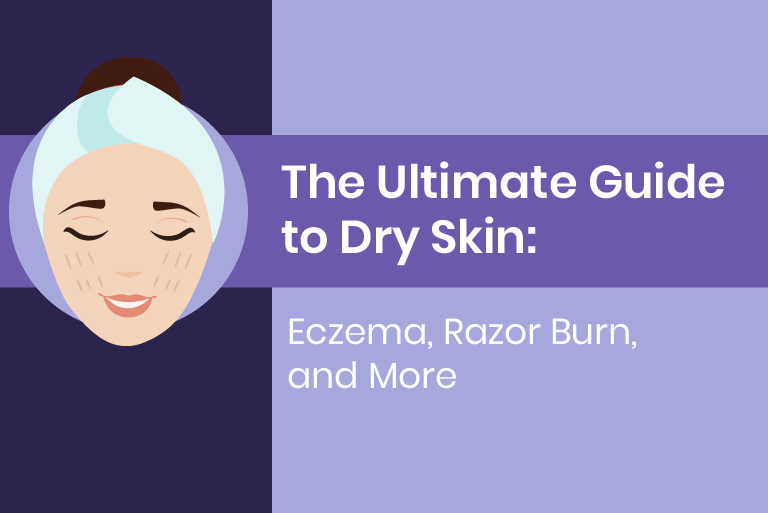 Among other possible remedies are skin care solutions that can eliminate unsightly razor burn symptoms, such as bumps, that can result after shaving, waxing, and electrolysis. Razor burn is definitely an unfortunate possibility for women who shave their legs, but it can potentially be avoided. And if despite their best efforts women get the skin condition, the good news is that it’s easily treatable. There are plenty of options for treatments to choose from. Start with the ones listed above to resolve razor burn on legs problems..